This is a pencil portrait of one of my children, entitled "Precious Son". Available as a print if desired, $4.50. 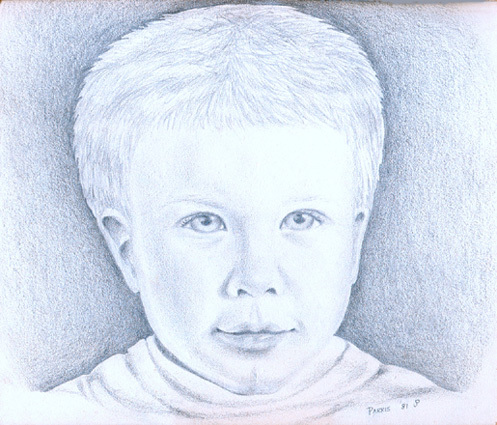 If you are interested in having a similar portrait (I'm very good at realistic portraits) in pencil of an adult or child done from a photo, please email me. Price for a signed original pencil, 8 1/2" by 11", is $95.00. To view a closeup of this print, Please CLICK HERE. 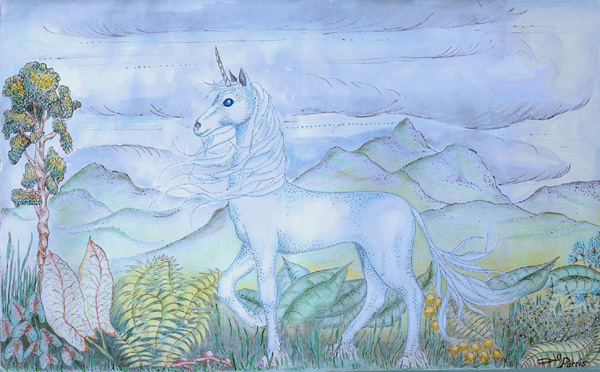 A fantasy painting, Unicorn Fantasy, done in a surrealist-immpressionist style, of a very stylized unicorn landscape. Original media - watercolor and ink. Also for sale, $5 per print. 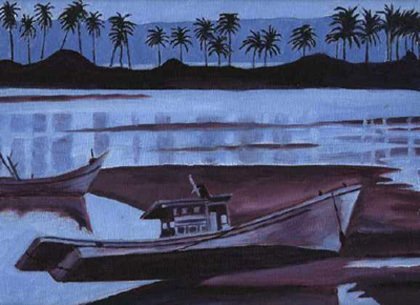 To see a closeup of this work, please CLICK HERE. "Tropical Twilight"is a detail of one of my oil paintings - a print of this oil detail is also available as a print for purchase; $5.00. 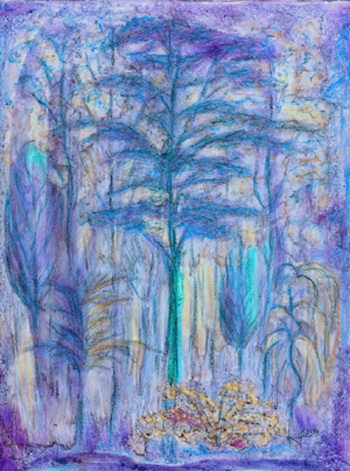 View another painting which is available - Style: Surreal; $5.00, entitled "Surreal Forest" done originally in flowing oil-based inks.